Gordon Ramsay might have one of the filthiest mouths on television. It's well known to any Hell's Kitchen contestant that they're essentially signing up for a barrage of verbal abuse if they muck up the risotto or dare to serve overcooked salmon. 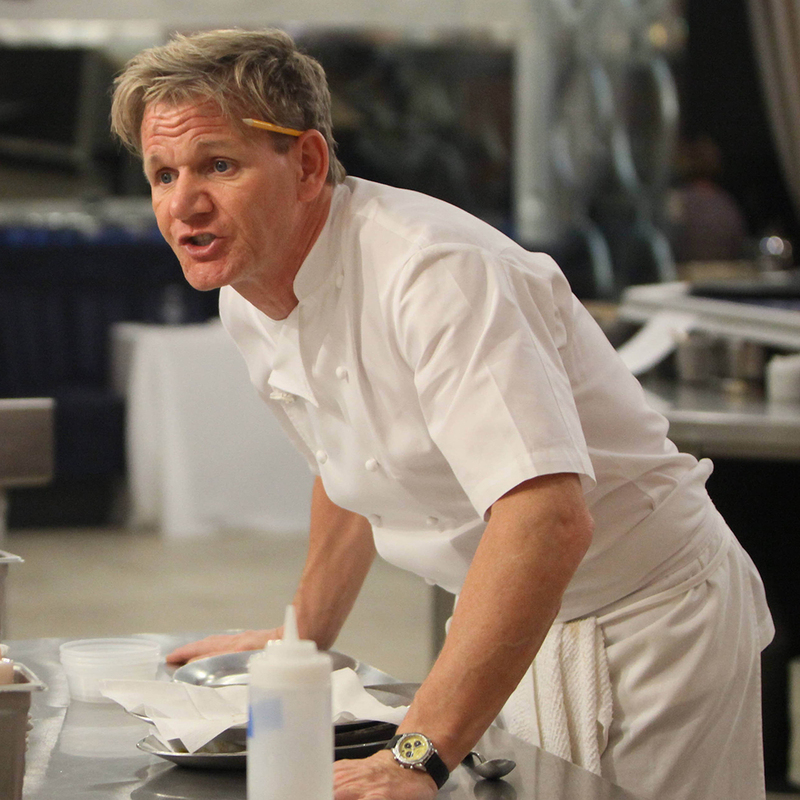 Just thinking about Ramsay conjures up a red-faced Brit shouting in his chef whites, whose hair looks equally as angry as he is. But, once a year, we forget about all that as MasterChef Junior makes its way back onto our screens. Chef Ramsay is suddenly the kindest, gentlest mentor to a dozen or so budding culinary geniuses. It's quite the contrast. How perfect, then, that YouTuber Sam Wilber has cut together some of Ramsay's most cutting remarks to adults with clips of kid cooks dropping the ball. The extremely uncensored clip is a hilarious reminder that the bombastic TV chef knows how to play to an audience on either extreme, whether that be berating sous chefs or pep-talking preteens. As simultaneously nice and nasty as the guy can be on all of his programs, it makes us wonder why he has to chew out at anyone at all. Oh right, because it's deliciously indulgent TV. You may want to plug in the headphones for this one.